We are staying in Lisbon for only three nights of our 13-day tour, so we are packing a lot in. Today was a busy day of touring by coach. We started the day by touring the major attractions of Lisbon, including Jeronimo’s Monastery (a UNESCO World Heritage Site), the Moorish Alfama Quarter, The unique Monument to the Discoveries, which proclaims Portugal’s undeniable role in the exploration of the world, particularly in the 15th and 16th centuries, dominates the riverfront and includes all the major discoverers. 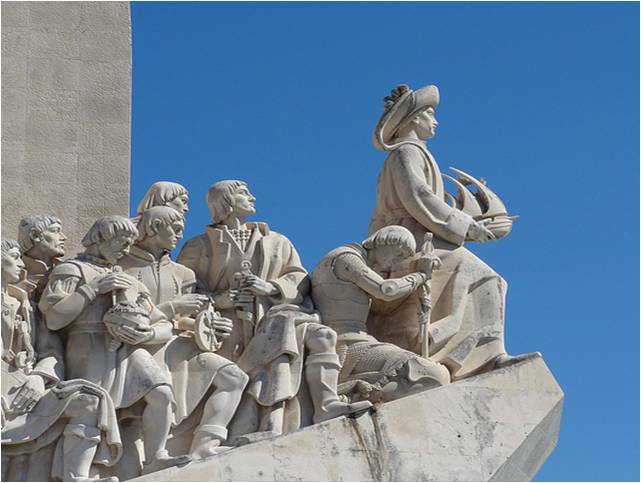 Prince Henry the Navigator, who founded a school for sailors in Sagres, leads the pack, with Vasco da Gama close behind. 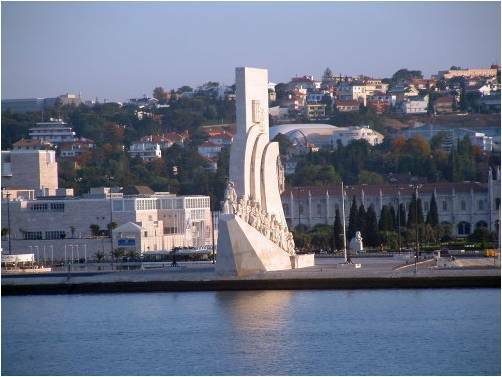 This monument of the explorers is in the form of a ship with dozens of Portuguese luminaries looking Westward over the sea. A much older fortress (and another UNESCO World Heritage Site), the Tower of Belen is nearby on the waterfront. We then boarded the coach for a picturesque ride north to the town of Sintra — where the whole town qualifies as a UNESCO World Heritage Site. The Buildings of Sintra are unique in their architecture and caused us to marvel at the creativity of their designers and flamboyance of their occupants. Later, we got a sense of the recreational significance of Portugal as we visited Cascais and Estoril, beautiful seaside resorts which made us wish we were here earlier in the season – except that we were grateful we didn’t have to wrestle with the crowds.